Stephanie Lim: Montblanc's "Meet the Modern Trailblazers"
Montblanc's "Meet the Modern Trailblazers"
Montblanc recently invited me over to their boutique in Pavilion Kuala Lumpur for the exclusive preview of their “Meet the Modern Trailblazers” campaign and their new StarWalker Urban Speed, Heritage Spirit Moonphase, and Nighflight collections. Also at the preview was popular model Venice Min, as well as my MHB manager Tim Chew, and we took the opportunity to try on the various items from the collections. 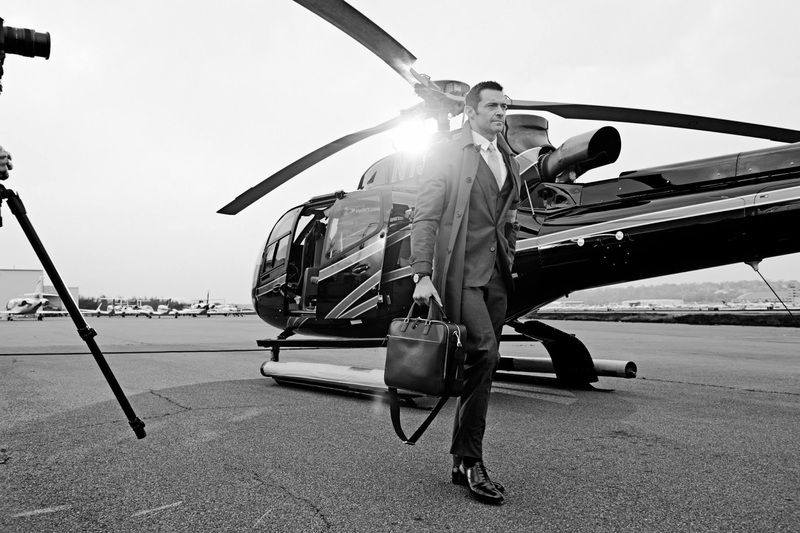 The campaign features images of the actor seen as the modern explorer, captured in a stolen moment, on an airfield next to a helicopter as he sets off on his latest travels wearing his favorite Montblanc timepiece around his wrist and carrying a Nightflight Traveler Bag on his shoulder. Montblanc’s “Meet the Modern Trailblazers” was created as an invitation to free-spirited modern men and women with an unyielding passion for the unexpected, reflecting their mindset of not just physically moving forward and exploring the world, but achieving that forward-thinking and independent state-of-mind; the same way of thinking that drives Montblanc forward to keep reimagining and rethinking timeless luxury. The campaign was shot on location in New York by leading fashion photographer and director Mikael Jansson, renowned for his technical prowess, emotionally charged images and his sense of adventure. “Meet The Modern Trailblazers” is Jackman’s second campaign with Montblanc, and captures the pioneering spirit and the passion for perfection shared by both the actor and Montblanc. 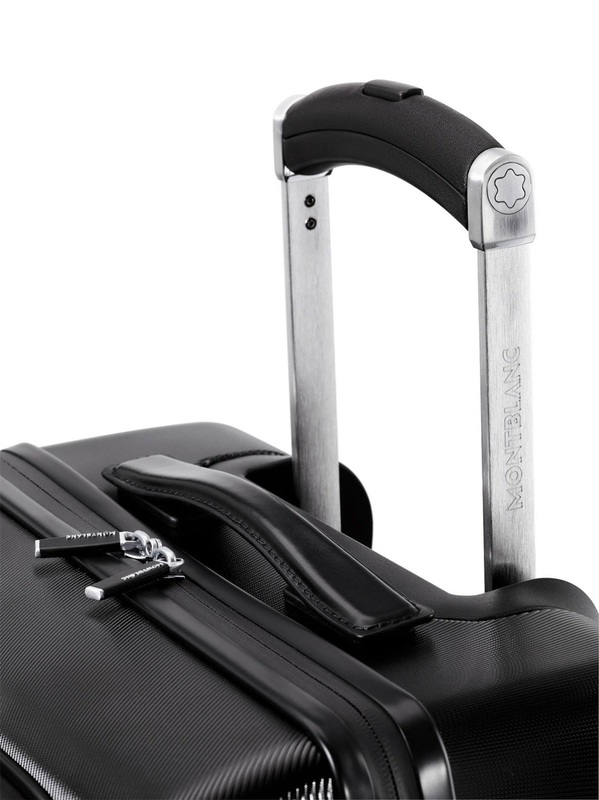 Montblanc continues to push the boundaries to create the unexpected through innovation, with beautiful yet highly functional pieces that deliver on performance to become a fine lifetime companion. The first watch out of three featured in the campaign is the Heritage Spirit Moonphase in Red Gold, followed by Montblanc Heritage Chronométrie ExoTourbillon Minute Chronograph and Montblanc Heritage Chronométrie Collection Quantième Complet Vasco da Gama Special Edition. Apart from Hugh Jackman, the campaign also features various personalities. Here in Asia, we have the gorgeous Taiwanese actress Gwei Lun-Mei. While badminton superstar Lin Dan is a household name in China and among badminton fans throughout the world. Lin Dan was born on October 14, 1983 in Longyan, Fujian province in China and is a renowned professional badminton player. In his early years, Lin’s parents had ambitions for him for a career in music and he was encouraged to learn the piano. However, fate intervened when he was five when he witnessed his friends joyfully enjoying the sport, and Lin Dan developed a personal passion for badminton. He joined the sports troop of the People’s Liberation Army at the age of 13 and at 18, earned a place on China’s national badminton team. Lin Dan is considered the greatest singles player of all time – a two-time Olympic champion, five-time world champion, and five-time All-England champion. By the age of 31, Lin completed the “Super Grand Slam” twice, having won all nine major titles in the badminton world: Olympic Games, World Championships, World Cup, Thomas Cup, Sudirman Cup, Super Series Masters Finals, All England Open, Asian Games, and Asian Championships. 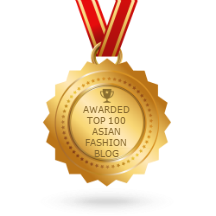 Lin Dan is the first and only player to achieve this feat. In 2008 Olympic Games, Lin overwhelmingly beat all of his rivals to become the first men’s singles player to win the Olympic gold as a first seed. Four years later in the 2012 Olympic Games, Lin Dan successfully defended his title, beating Lee Chong Wei from Malaysia to be the only men’s singles badminton player to retain an Olympic title. 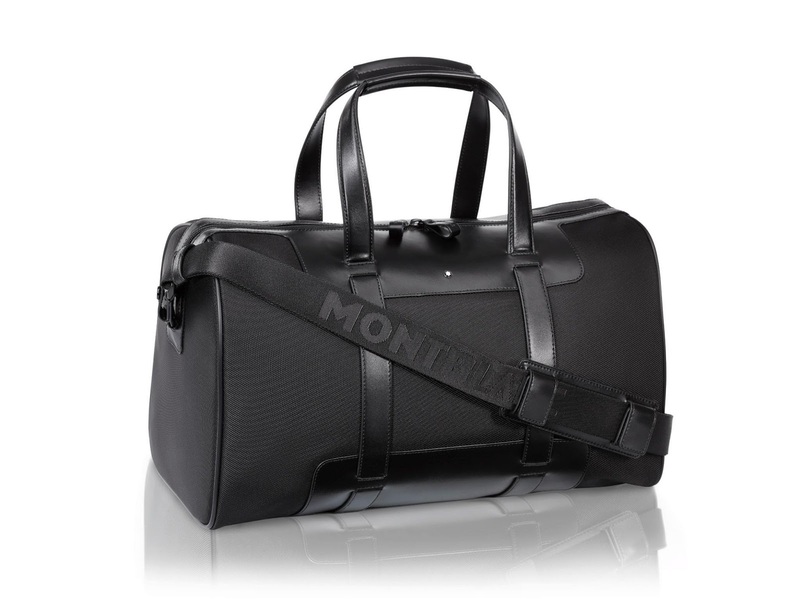 Lin Dan’s relentless pursuit for excellence and perfection identifies with values are shared by Montblanc, who also strives to exceed expectations and achieve value that transcends time, making him the ideal spokesperson for the brand especially in the Far East and Asia. 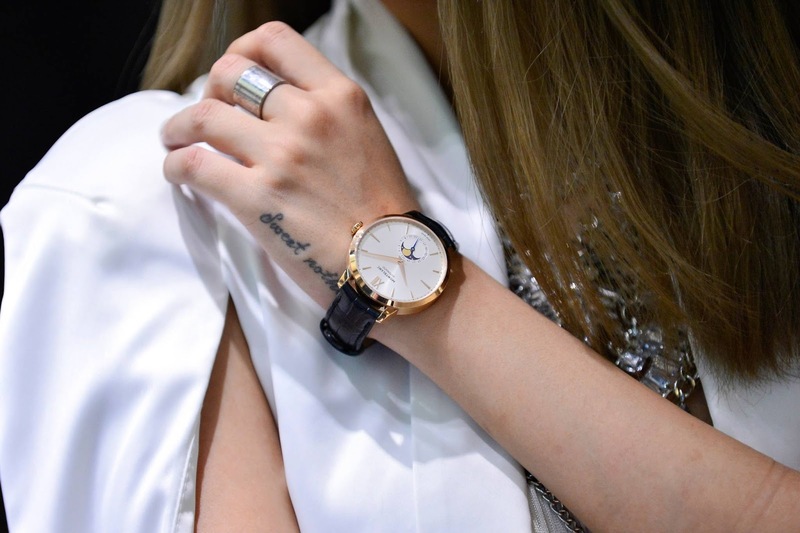 Lin Dan attended the Montblanc ‘Celebrating the Spirit of Meisterstück’ Beijing Exhibition in a tailored suit that complements the Montblanc Meisterstück Heritage Moonphase watch that he was wearing. 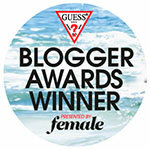 Also worth a special mention is celebrity male fashion blogger Adam Gallagher (read his blog here – http://iamgalla.com/). Here’s a look at some of the beautifully designed items in the collections. 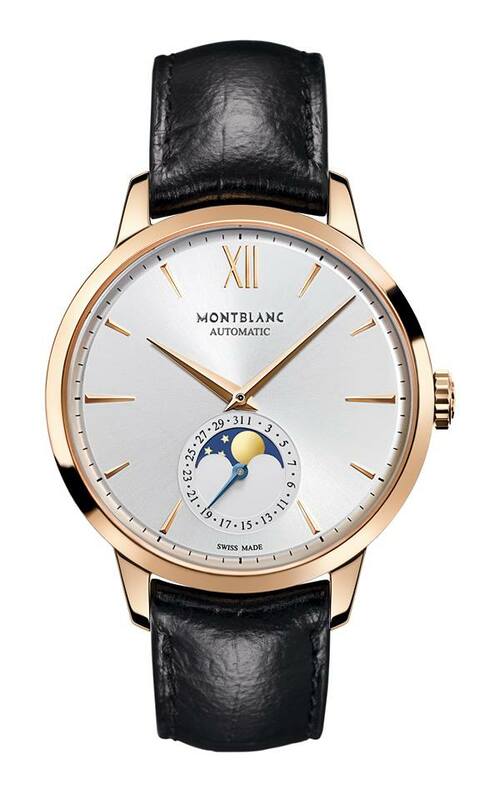 The Montblanc Heritage Spirit Moonphase is simply a gorgeous automatic timepiece adorned with an 18 K red gold bezel, red gold-plated dauphine hands, sapphire crystal, and a black alligator-skin strap with an 18 K red gold pin buckle. This timepiece continues the tradition of Montblanc’s outstanding quality, traditional craftsmanship, perfect functionality, and sophisticated and timeless design – made for the Modern Trailblazer. The Montblanc StarWalker Urban Speed is available in Fountain Pen with a brushed ruthenium-plated Au585 gold nib, in Fineliner and Ballpoint, as well as a ScreenWriter for use on touch screen devices. 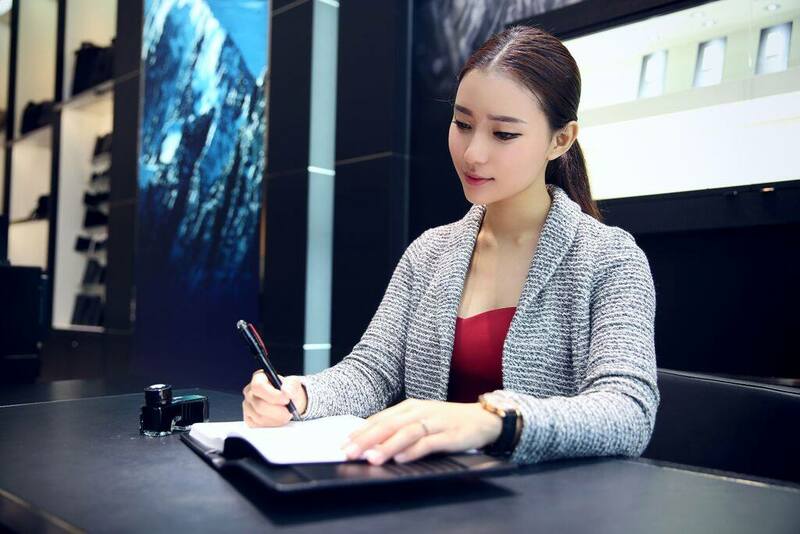 Partnering with Samsung, Montblanc also released an e-Starwalker version of Urban Speed to complement the technology of the Samsung Galaxy Note 4, and features both an e-refill and an analog ink refill. 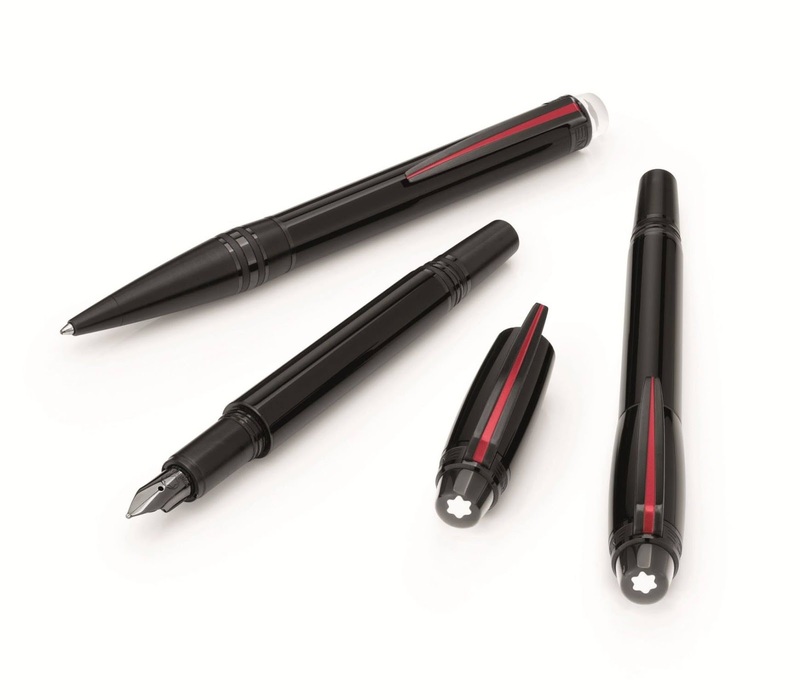 Why use a normal stylus when you use the Montblanc StarWalker which has cutting-edge design combined with contemporary and premium materials. The cap and barrel in precious resin are enhanced with ultra black “Physical Vapor Deposition” plated fittings which is a scratch, chemical and temperature resistance plating is primarily used in the automotive and aerospace industry. 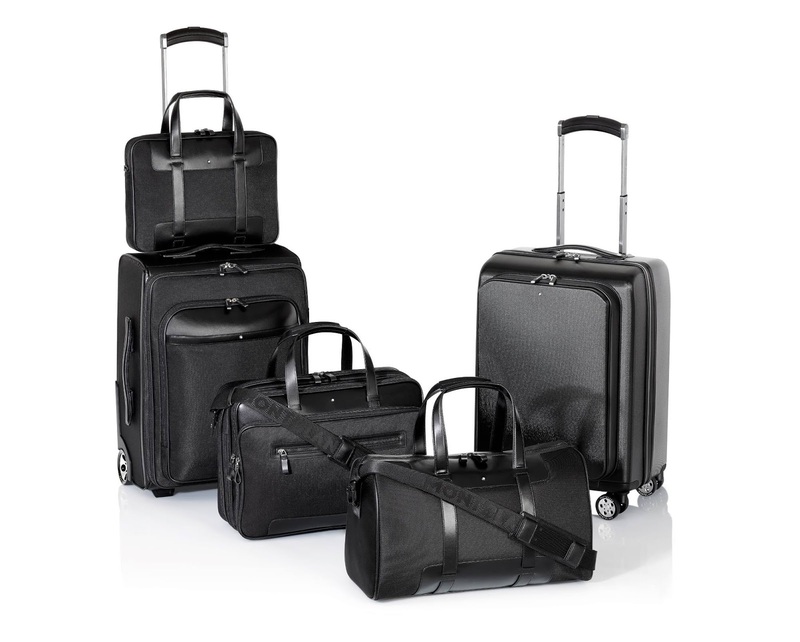 The Montblanc Nighflight Collection is an expression of independence of the experienced traveller, and a statement of style for urban explorers and Modern Trailblazers. 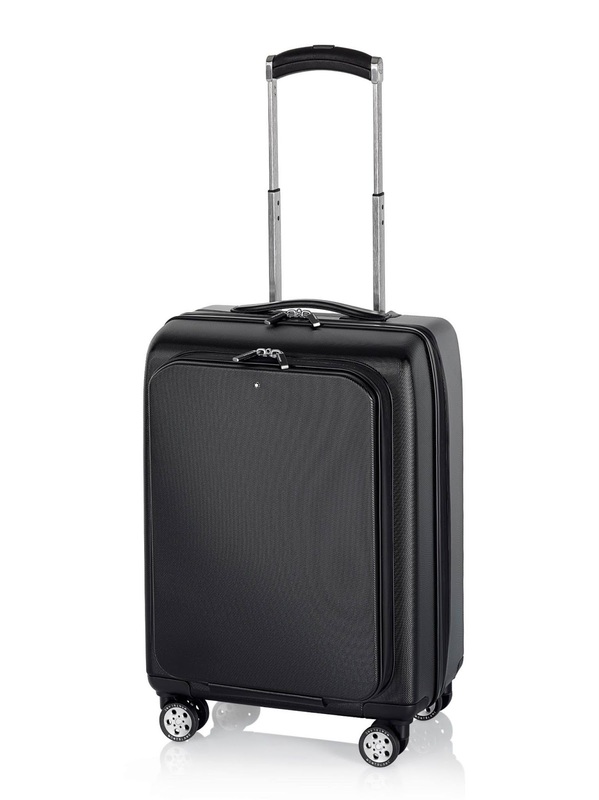 When travelling, it is essential to have luggage that provides comfort and functionality, and with that in mind, each piece in the Nightflight collection ensures swift and easy access to tickets and passports, electronic devices, work documents, magazines, and even cosmetics. 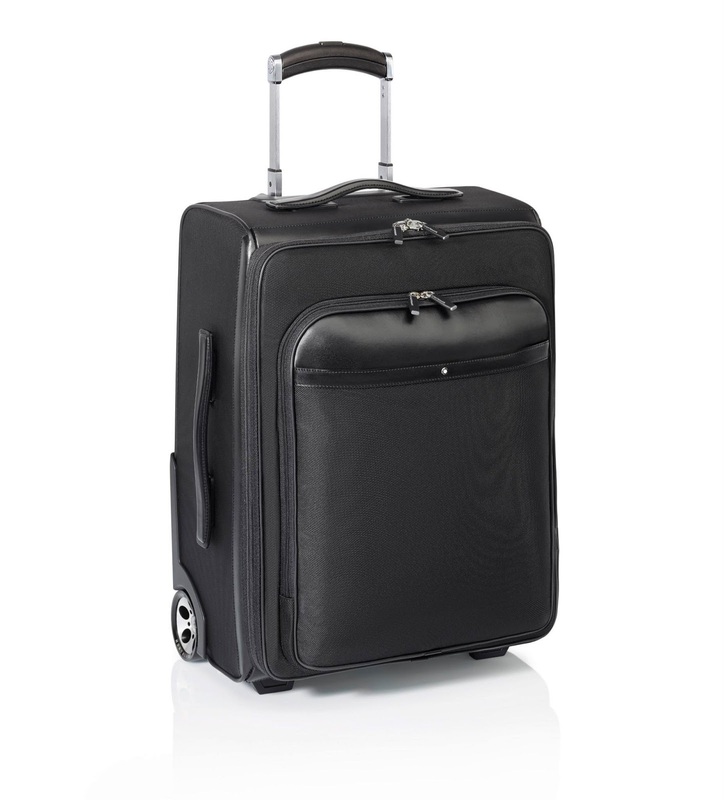 Both the large and slim document cases fit snugly on top of trolleys, while the duffel bags, city bags and trolleys all come with a removable pouch for flight tickets and documents which can be taken out when needed. 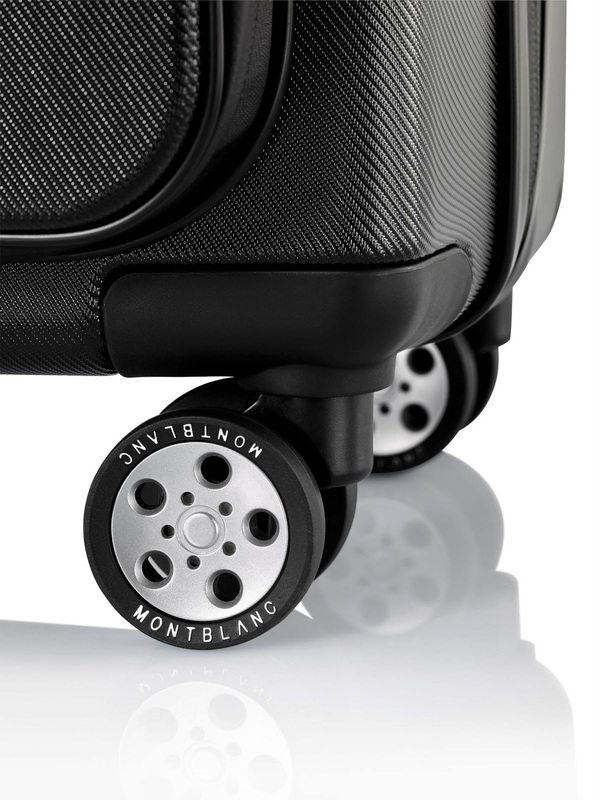 High functionality comes in the form of the signature Montblanc wheels specially designed to ensure smooth rolling from check-in through to boarding and on-board storage, a two-step press mechanism to adjust the height of the soft leather trolley handle bar, and an ultra-comfortable and lightweight 4-wheel trolley fashioned from light and resistant polycarbonate. The Montblanc boutique in Malaysia is located in Pavilion Kuala Lumpur. 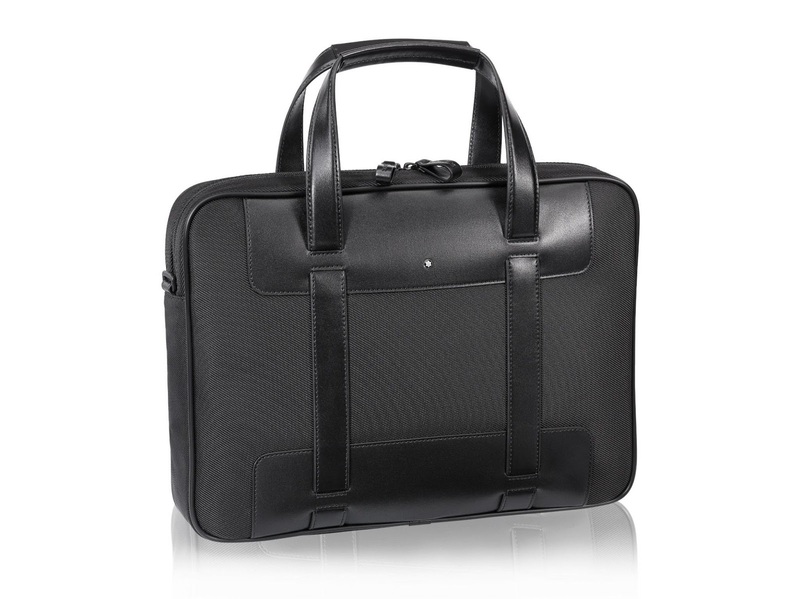 Photos courtesy of Montblanc Malaysia.